The Contradiction or stumbling block of Rand’s philosophy, the philosophy of Objectivism is found in her metaphysics. Rand proves an objective reality that includes volition, which is not so easily proven. After spending weeks on an objective validation of the existence of volition, and finally satisfied that this was possible, the need remained to examine the nature of volition, and particularly as it is distinguishable from or in the context of objective reality. To this day, and to my knowledge, the adherents of Objectivism have never explored or discussed this in sufficient depth. Using a computer software metaphor, it’s as though the main menu included metaphysics, and the metaphysics menu included objective reality and volition, but when volition was punched in, nothing came up on the menu. What I want to point out here is that, not only does morality hang on the existence of volition, but theology as well. For my part, I could not escape the parallels between the classical attributes of God, and the attributes of volition, even by Objectivist standards. 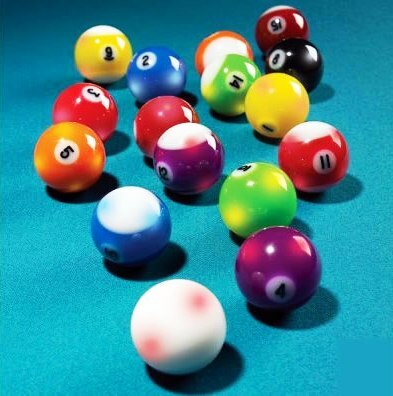 Ignoring for the moment the difficulties of quantum physics, objective reality is like balls on a billiard table – they have no choice, no volition. Non-contradictory volition, on the other hand, has the power of an irresistible force as well as an immovable object. It is just here that the line between the dust and the divine becomes blurred. Clarity begins to be possible when we begin to understand this that was written before Rand came along, namely that man was made in the image of God. Once we get this matter of Rand’s contradiction resolved it becomes possible to see, appreciate, and embrace what Rand brings to the table where our need to understand human liberty is concerned. It is in understanding her contradiction that we discover why so many of her followers, including Rand herself made a train wreck out of human relationships, especially the relationship of marriage. Here is a beginning of an elaboration. It is shorter than the book, but it is kind of long, so I have stopped short of sending it all, so you can let me know, perhaps by email if you are interested in pursuing it further. Atlas Shrugged is philosophy presented as a historical adventure story in a contemporary industrial setting. As philosophy, it presents perhaps the most compelling case for economic freedom that has ever been written. It is the “Das Kapital” of Capitalism, written, not only, after the fact, but in a period when America had already forgotten the source and mechanisms of her greatness. At the same time it presents, what appears to be, one of the most intelligent indictments of Christianity, which has ever been written. On closer examination, however, it confuses Biblical Christianity with the writer’s exposure to the Christianity of institutionalism. In its succinct, and powerful critique, it targets Biblical Christianity, but succeeds only in blasting the religious traditions of men. Most of our analysis benefits from forty years of personal perspective on the subject of Ayn Rand’s philosophy. It also takes advantage of the perspective of others, who, in the germinal years were much closer to the atmosphere of its adherents. At the time, there was a policy, which permitted few if any, to call themselves anything more than “students” of Objectivism, lest the philosophy be judged and slandered due to the errors of its followers. Looking back with the benefit of hindsight “confirmed by two or three witnesses, most especially, Barbara and Nathanial Branden, it appears that even its founder was a student in the sense of never reaching the point of consistent application. Our desire is to critique this philosophy, not by an alien standard, but by its own standards. We would like to do this as a friend, not an enemy, in the hope the jurisdiction might seem, not only intelligible, but qualified, to those who hold the philosophy in high regard. In addition it would be our hope that our perspective and analysis might aid in the healing of those who suffered confusion, rejection, alienation, and even hostility, as a result of their own efforts to understand and participate. The passage of time has afforded not only the more complete elaboration of the ideas of Ayn Rand, and her associates, but evidence of its validity through the efforts of its advocates to live it out in practice. In this connection I should quickly add, that failure of men to live by the truth does not invalidate the truth. As the Bible says, “We can do nothing against the truth.”* I will, however, use the failures of practice to support the critique in reason. As Rand has used Atlas Shrugged to judge the Bible, I will use the Bible to shed light on Atlas Shrugged and Objectivism. In order to do this, I have resorted to paraphrasing of the Scripture, which goes way beyond what might be acceptable to many who name the Name of Christ. I do this not to suggest the only possible understanding, but to clarify a Biblically supportable understanding for the purpose of making the application as clear as possible from the view point of Objectivism. Metaphysics, epistemology, self-esteem, volition, and ethics, are not subjects about which the Bible has nothing to say. The points of conflict between the belief system of Objectivism and the belief system of the Scripture are much smaller than the proponents of Objectivism suppose, but are none the less fatal to the practice of Objectivism. “The precept: `Judge not, that ye be not judged’**(Mat. 7:1)…is an abdication of moral responsibility: it is a moral blank check one gives to others in exchange for a moral blank check one expects for oneself. In I Corinthians 2:15, it is written: “The spiritual man makes judgments about all things, but he himself is not subject to any man’s judgment:” Clearly, the whole counsel of the Scripture is not the abdication of judgment, as implied in the Ayn Rand quotation. While this paraphrase is designed to make the Biblical position and qualification for judgment clearer from an Objectivist perspective, it completely ignores the Biblical remedy for guilt which belongs to the “spiritual man,” but not Rand’s “man of reason,” but more about this later on. Newsletter, published by the Nathaniel Branden Institute. In addition, some of the group had attended various lectures of the Institute. Weeks were spent examining her metaphysics and epistemology as presented in very few words in the novel. With something resembling mathematical thoroughness, we poured over these two foundation stones drawing on relevant articles from the Objectivist Newsletter. An objective reality that included an ability to reason unique to man, was proven to the satisfaction of all in the group. An objective reality, which included volition, while obvious to us all, was not so easily proven. After spending weeks on an objective validation of the existence of volition, and finally satisfied that this was possible, we were left with the need to examine the nature of volition, and particularly as it is distinguishable from objective reality. To this day, and to my knowledge, the adherents of Objectivism have never explored this or discussed it in sufficient depth. Using a computer software metaphor, it’s as though the main menu included metaphysics, and the metaphysics menu included objective reality and volition, but when volition was punched in, nothing came up on the menu. volition, even by Objectivist standards. By graduation, I was more convinced than ever, that atheism was not essential to an acceptance of the philosophy, and so far from being necessary, may, in fact represent an internal contradiction. After college, my enthusiasm for the philosophy continued unabated, and I set out to form a class on the subject to be presented over a period of weeks in a local Y.M.C.A. In discussing this prospect with people at the Nathaniel Branden Institute, most memorably Barbara Branden, it was made clear, that my efforts to spread the “good news” were not welcome, not authorized, and considered heretical from an Objectivist standpoint. Pressing the matter, the heart of the difficulty, surrounded my assertion that “atheism is not essential to an acceptance of the philosophy. In my view, the wording of this insistence was such a clear example of the basis for my concern, that, disillusioned, I broke off contact, and presented the course without their authorization. In those years immediately following graduation I became aware of others, one person that I knew personally, who was excommunicated from the community of interest and barred from entry to official Objectivist functions. As late as the funeral of Ayn Rand, the exclusion of Nathaniel and Barbara Branden from those who would pay their final respects, indicates that this attitude continued undiminished to the end. Thanks for expressing your ideas. I’d also like to state that video games have been ever before evolving. Today’s technology and enhancements have made it easier to create practical and enjoyable games. These kind of entertainment games were not actually sensible when the actual concept was first being attempted. Just like other forms of technological know-how, video games as well have had to grow as a result of many generations. This is testimony towards the fast development of video games. This comment is so far beyond my comprehension, it is very difficult to respond to your comment. The contradiction of Ayn Rand, which so messed up her ability to be in relationship with others, and to comprehend the moral source of the universe is so far from the emerging technology of video games that I just don’t get it. Video games at their worst have more relational integrity than Rand’s comprehension of the integrity of love.